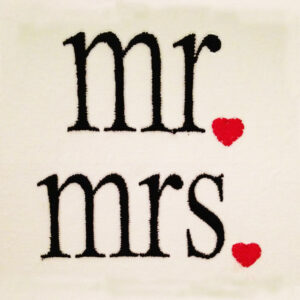 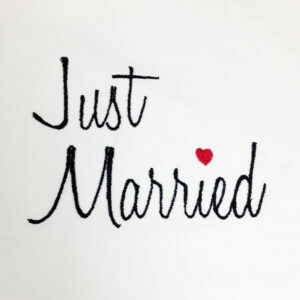 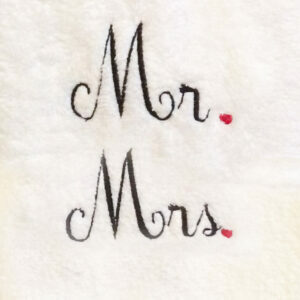 Cursive, Modern Mr and Mrs machine embroidery designs for newlyweds, for the perfect wedding shower gift. 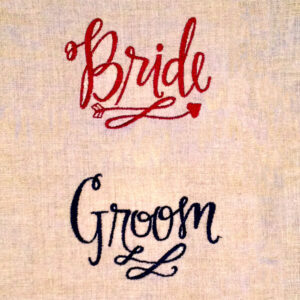 Modern Mr and Mrs machine embroidery designs for newlyweds. 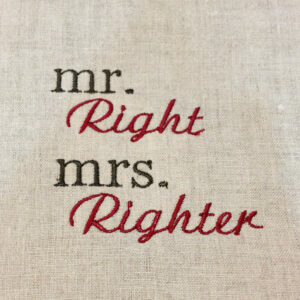 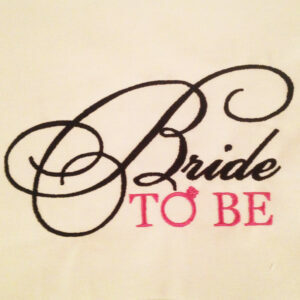 Stitch them out on pillowcases as a perfect gift for the newlywed Mr. and Mrs.
Mr Right and Mrs Righter machine embroidery designs in three sizes.